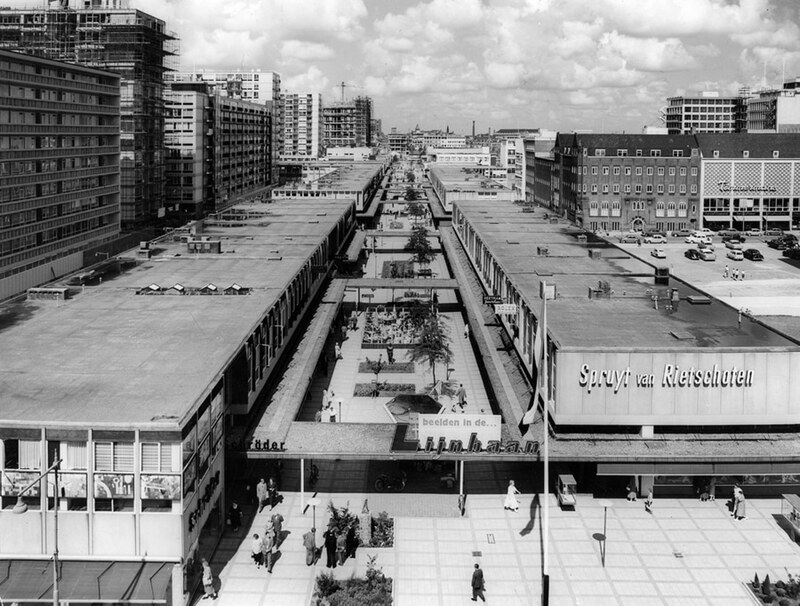 De Lijnbaan was designed as an exclusive shopping area with 70 luxury shops. In 2010, De Lijnbaan ensemble was designated as a national monument. Since 2008, Mei architects and planners have carried out various cultural-historical studies on De Lijnbaan. Mei won the architect selection in 2014 for the renewal of De Lijnbaan and was assigned to renovate this symbol of reconstruction and to restore the original high quality and 50s look of Lijnbaan shopping promenade. 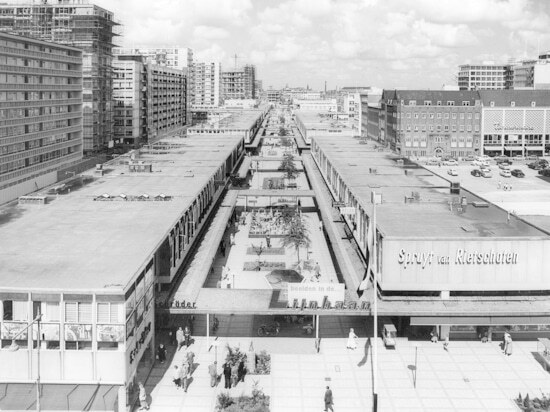 The approximately 800 meters shopping promenade De Lijnbaan will again be an area for shopping and staying. The first phase - between Aert van Nesstraat and Oldenbarneveltplaats - has now been completed. 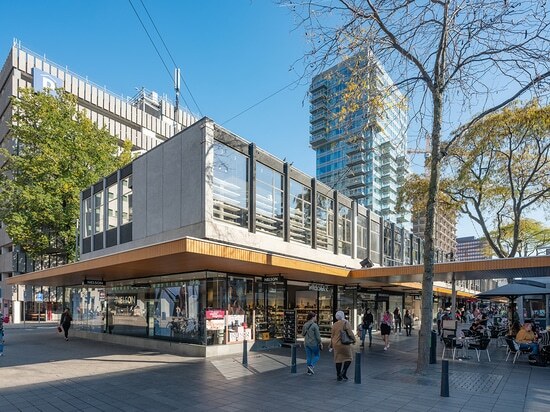 The canopies that interconnect the shop premises are the most characteristic part of the design for De Lijnbaan by the architects Van den Broek & Bakema. 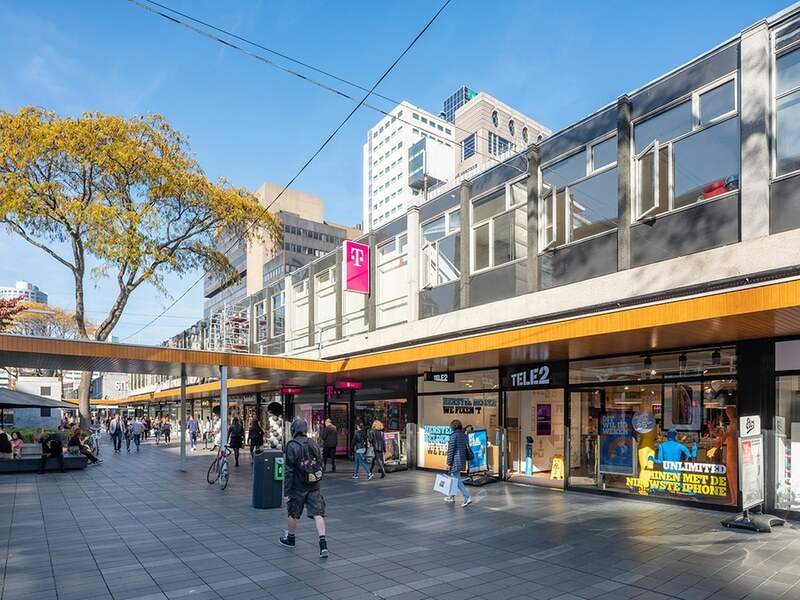 Together with the ‘crossing canopies’ they connect the shopping area and frame the public space, creating a pleasant outdoor space, like a living room in the city. Ever since its construction in 1953, more and more has changed and the unity in the ensemble has disappeared. With the design of Mei architects and planners, the living room feeling will return on De Lijnbaan. 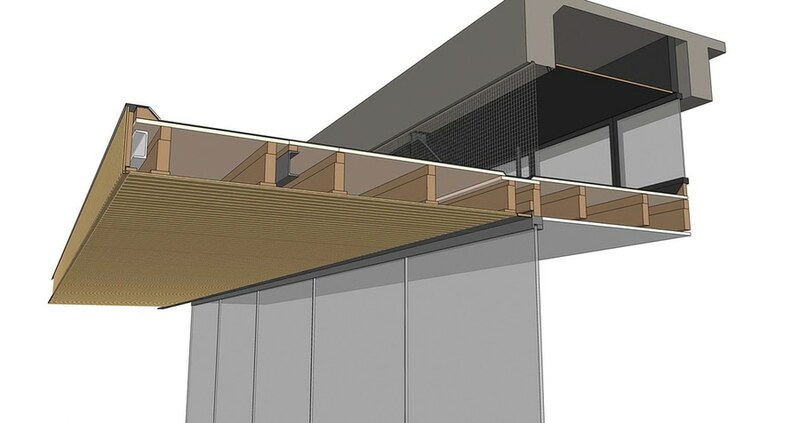 Elements that have been added in a later stadium are being removed, the old canopies will be restored and with the use of wood and warm materials, the original quality will return. Mei started the design process with extensive research and mapping all existing façades. Starting point of the renovation was the preservation and restoration of the time layer in the 1950s. Later renovations - such as the addition of the glass sheds created around 1996 - have been removed. 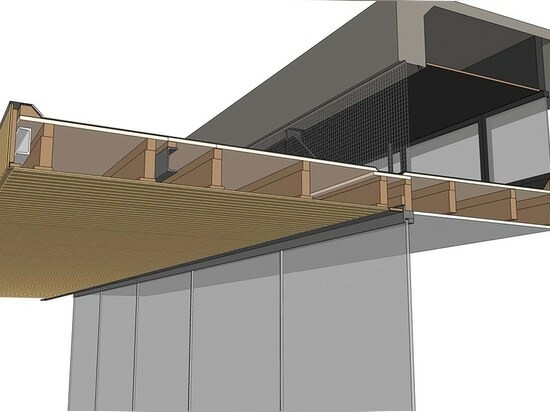 The original canopies are being repaired and the ceilings and fronts will be covered with sustainable Accoya wood. At some buildings, the original wooden ceiling parts were still present. They have been restored and will not be replaced. The attentive passerby will be able to notice the differences between the cherished monumental wooden parts and the new wooden parts. The storey façades are also being renewed. Here, the existing vertical concrete elements are cleaned and restored, and those who are missing are returned. The niche between canopies and the continuous façade beam at the level of the first floor – also an important element in the design of De Lijnbaan – is carefully repaired over the entire length and provided with gauze as pigeon protection to prevent pollution in the future. The client of De Lijnbaan renovation is Eigenaren Vereniging Lijnbaan. The construction was carried out by J.P.van Eesteren. The plans for the renovation have been realized in close collaboration with the property owners, retailers, municipality, contractor, the Council for Cultural Heritage and the Rotterdam Commission for Monuments. Following the completion of this first phase, the other parts of the Lijnbaan will be finished in the course of 2019.